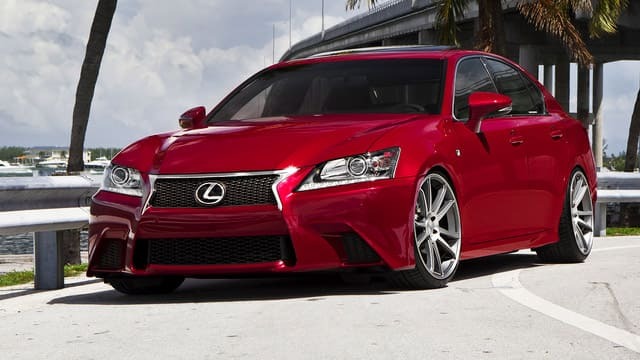 As the luxury arm of Toyota, Lexus vehicles combine excellent performance with comfortable, luxurious features. They require the kind of service that can address both sides of this coin, and that’s what we’re here to help you with at Jerry Lambert Automotive. What kind of Lexus do you drive? Whether it’s the IS, ES, LS, GS, RX, GX, CT, LX or even one of their Hybrid models, our ASE-certified technicians can provide every tune-up and repair you’ll ever need. We combine decades of experience among our mechanics, ensuring there’s no issue or vehicle type we haven’t seen and fixed in the past. That’s just one piece of our full-service package, however. We also employ a dedicated customer service team that will help you feel welcome and comfortable from the moment you enter our doors until the moment you drive away satisfied. Our friendly staff will help you stay in touch with the mechanics working on your vehicle, whether you’re getting a simple oil change or a larger set of repairs – nothing will be done to your vehicle until you approve it. Best of all, we’re a conveniently located NAPA auto shop. Our central Salt Lake City location makes us easy to access for drivers in a variety of areas, including West Valley City, Sandy, Midvale and many others. You’re never too far away from our fantastic service if you’re a greater Salt Lake resident. So to learn why we’ve maintained an A+ rating with the Better Business Bureau for years running, or for more information on our fantastic Lexus service and how we can help you with any of your vehicles, call the pros at Jerry Lambert Automotive today to schedule an appointment or drop by our easy-to-find location.